Sir: In her Oct. 25 letter, “Guest column was false and harmful to public health,” Assistant Professor Juliet Guichon misrepresented, mischaracterized and maligned the science-based Fluoride Action Network (FAN). Now in its 18th year, FAN is the largest non-profit in the U.S. broadening awareness about the toxicity of fluoride. Readers can look at FAN’s website (http://fluoridealert.org) and decide for themselves about its credibility. Most will wonder why fluoridation promoters who claim their science is settled would resort to misleading tactics, as Guichon does. Guichon’s claim that FAN’s “members seem to be people who own water bottling companies” is baseless. We don’t accept advertising from or promote the products of any businesses. Guichon’s conspiracy accusation is also baseless. Simply put, science does not support the 1945’s theory that ingesting fluoride is a safe and effective way to reduce tooth decay and we show the science on the website. Since 2007, about 4,800 professionals have signed a statement opposing fluoridation. Guichon claims dentists make more money in non-fluoridated areas because “the population has significantly worse oral health.” Several studies dispute that. They show that when fluoridation ends, cavity rates are unchanged or go down. In fact, the claim that Calgarians’ cavities increased after fluoridation ceased was scientifically debunked. Tooth decay rates have declined significantly over the years equally in fluoridated and non-fluoridated countries. Guichon doesn’t seem to understand fluoride toxicity or chooses to play it down to protect fluoridation. Studies show that even commonly consumed low levels of fluoride can cause neurological damage. Fluoridation supporters are in a very small minority in the world. Out of 196 nations, only 24 have any fluoridation – only 5% of the world’s population. FAN, along with the vast majority of the world, has recognized the health risks, ineffectiveness and ethical problems of water fluoridation. Hopefully, for the sake of our public health, others still clinging to this outmoded practice will become similarly enlightened. Sir: We have a beautiful building with lots of heritage here in this city that will soon be sitting sadly empty, namely the former SCITS High School. A new site for a City Hall will be on the agenda in a few years, and though the SCITS building may need updating to bring it up to code, I’m sure it would be cheaper than building new. SCITS has room galore, abundant parking, it’s centrally located and architecturally grand. I think it’s high time our elected officials start thinking properly and consider this idea. As we all know, the estimating system for projects in this city has been a disaster. It’s time to get a person in there who knows how to send out tenders, and, once accepted, requires contractors to live up to them. I’ve been a private contractor all my life (now retired) and I learned at a young age how to price materials, labour, overhead and unforeseen expenses at the beginning. All citizens should get on the bandwagon and put SCITS to this use and add to the beauty of this city. In Europe, they update buildings that are centuries old on a regular basis. Here in Canada, we are too quick to demolish historic architecture. Let’s make SCITS our passion to become the next City Hall. Sir: I spend a lot of time and money on my lawn, and yet it serves very little purpose. And that’s got me thinking about my community, where I see a lot of other “lawn” my tax dollars maintain but which also serve very little purpose. I wonder if we can’t make better use of our green space. I’m not talking about turning the flowerbeds in Centennial Park into a cabbage patch, but can’t we take a look around at other options? One obvious location is the old Central Collegiate – St. Patrick’s site on East Street, which sits fenced off and unused. Why is that property not used to grow food, or to teach sustainable agriculture? Many of our schools have large unused pieces of property. And there’s that huge piece of property between Finch and Trudeau that’s been empty and unused for decades. Perhaps we could create an urban forest there and provide a small sanctuary for migrating birds. I recognize this would take a big commitment. But we’re already able to maintain large flower gardens that receive national recognition and “keep the grass cut” every year. Our city already owns and maintains much of the equipment that’s needed to get started. Do we have the community knowledge for non-decorative gardening? Can we incorporate all the levels of education from kindergarten to college? Is there an interest from garden clubs, seniors’ organizations, teachers, and politicians? Could this lead to new rainwater conservation ideas and opportunities for composting? I believe Sarnia has the knowledge and experience to build a sustainable community. I believe, as a society, we’ve waited far too long to get focused on the challenge. For all that my generation got wrong, from clear-cutting forests to asbestos, it appears the one thing we may have done right is raise a generation committed to the environment and its own sustainability. I know they know how to do this if we’d just listen. Sir: I continue to ask myself what Sarnia’s city councillors could have done differently in handling Mayor Bradley’s bullying and harassment behaviour. Who on council could the city manager, and staff, have turned to in order to resolve the situation with the mayor? Think about it. The HR department reported to the city manager and thus was not in a position to intervene effectively, although it tried. 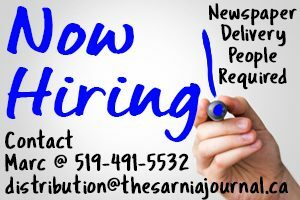 The Integrity Commissioner was the obvious answer, and he found the mayor had contravened Sarnia’s Code of Conduct. Council then approved his recommended penalties against the mayor. When there were four additional harassment complaints filed under the Occupational Health and Safety Act, council resolved it best handled by a firm specializing in this area. This firm found the mayor had indeed grossly contravened the act. The council was then required, by law, to make changes to prevent the harassment from recurring. This it did. The mayor knew better than to interfere with the daily operation of the city, in the first place. It made complete and absolute sense for him to have been given his own premises separate from the operations of City Hall. Council did this, and so it should remain. Councillors were placed in an unenviable, no-win situation. They were left leaderless to handle complaints by the city manager, and staff members, against their leader, Mayor Bradley. Who was to lead them in handling this issue? But handle it they did, even if, not surprisingly, it was a bit messy along the way. Council and staff then continued to work effectively, notwithstanding Bradley’s claims to the contrary. It is now clear that an unrepentant Mayor Bradley has not learned his lesson and will still pose a problem for the new council. He has embarked on a vindictive and petty-minded campaign to get rid of the CAO. Once again, Sarnia is at risk of having to pay for cleaning up a costly mess that Mayor Bradley alone created. This time the Mayor should be made to bear this cost himself. And, thus, the Bradley saga continues. Sir: After a chaotic election, a new council will be sworn in early next month. The clerk attributed the larger voter turnout to online voting but, in my not so humble opinion, people were determined to elect a new council and turned out in greater numbers to make this happen. The old councillors actually wore ‘badges’ and continued to bully and harass the mayor at the Nov. 5 council meeting. Departing Coun. Anne Marie Gillis has tried every way imaginable to occupy the mayor’s chair, including establishing a deputy mayor’s position. She doesn’t seem to accept the fact she lost the election and continues attempting to undermine the mayor. The behaviour of Gillis, Mitro, MacDougall, Scholten and White showed a complete lack of class. Their juvenile performance only emphasizes that getting rid of them was the best thing that could have happened to Sarnia. Their display was absolutely childish and petty. Throughout the campaign, they attempted to smear the mayor with respect to a bullying issue that was dealt with long ago at an exorbitant cost to the taxpayers. That issue was insignificant compared to the bullying and harassment the mayor was subjected to during the last term and throughout the election campaign. It will be refreshing to see a new council sworn in, to make necessary changes, and see Sarnia move forward. I wish them much success and good luck! Editor’s note: At the Nov. 5 council meeting the five councillors cited wore a nametag-like sign that read: A healthy workplace matters. Sir: I would like to thank the man in the ball cap and long beard seated in the last row of the movie theatre at the 7:30 p.m. Saturday screening of Hunter Killers. I would like to thank him for wasting my money and my time listening to him snorting and sniveling through his nose through the whole movie. And I mean the whole movie. Did his parents not teach him any manners? If you’re sick with a cold, stay home. It’s beyond me how someone could be that rude. He had a buddy who should have nudged him to stop the rude behaviour. I don’t have any friends that act like that, and if I did I surely wouldn’t take them to a movie. There are not enough words to describe how I feel about the behaviour of these two dumbass rednecks. 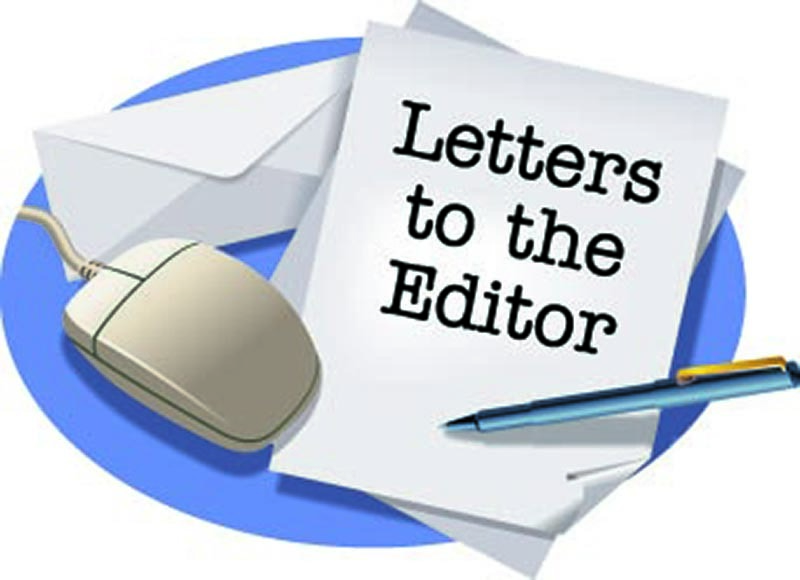 Sir: Regarding the Oct. 11 guest column by Agneta Czechowicz, “Why adding fluoride to water should be halted immediately. Her claim that 30% of Canadians consume fluoridated drinking water is conservative. When I ceased 12 years of campaigning on this issue in 2016, I had calculated the number as lower than 30%, but not yet below 20%. During that time I participated in reducing Canadian fluoridation rates from 45.1% to less than 30%. The holdouts are places where public health departments press fluoridation policy to elected officials. The most ardent places still fluoridating are the cities of Edmonton, Saskatoon, Winnipeg, London, Hamilton, the GTA, Ottawa, Charlottetown and Halifax. For the most part, much of Canada is fluoridation free, in particular B.C., NWT, YT, NU, QC, NF, and NB. Canadian population numbers are mostly concentrated in London, Hamilton, GTA, and Ottawa. Parry Sound just eliminated the practice by plebiscite in the recent Ontario municipal elections. Old ideas are kept entrenched by status quo politicians who are swayed by unelected public health officials. Demanding accountability for the practice is tantamount to stepping on the third rail of a subway line. If these questions were asked by elected officials, then water fluoridation policies would implode in short order.